Fast and fresh Thai food. 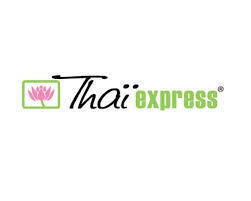 Thai Express is the #1 fast service Thai food restaurant. Enjoy a fine selection of quick-serve pad thai, curry, and classic Thai dishes. Take a break from shopping and enjoy the fresh and healthy Thai food at the CF Chinook Centre.